DIsclaimer: To run these files you need Autodesk VRED PROFESSional 2018, 2019 or 2019.1 and an HTC Vive VIrtual Reality SYstem. This is a very simple free roaming script. All you have to do is copy the code and paste into your terminal or your script editor. Once you run it all you have to do is point with the trigger pressed and release to the new location. Runs with VRED Professional 2018 2019 and above with an HTC VIVE VR system. This is a simple HDR Environment with free roam script implemented into the file. The image you see here is a screenshot and not a rendering. This is my basic VR Template file. It includes free roaming, teleport viewpoint spheres, and simple Variants programmed into the HTC VIVE controller. This is a file you can use to jump start your VR viewing capabilities. It also functions as a great example on how to use simple code to control your VR experience. This is a free environment file with a very simple VR python script to free roam around. It is highly recommended to download this file and run it in your VR system. If this file works, you have the right version and equipment. The other environments will work as well. This is the full VR file seen on the youtube videos. It includes Free Roaming, Viewpoint Spheres, Color Changing Speed Forms, Diagnostic Shading mode, Rotating controls, Geometry Switch Tool, and VR Camera. 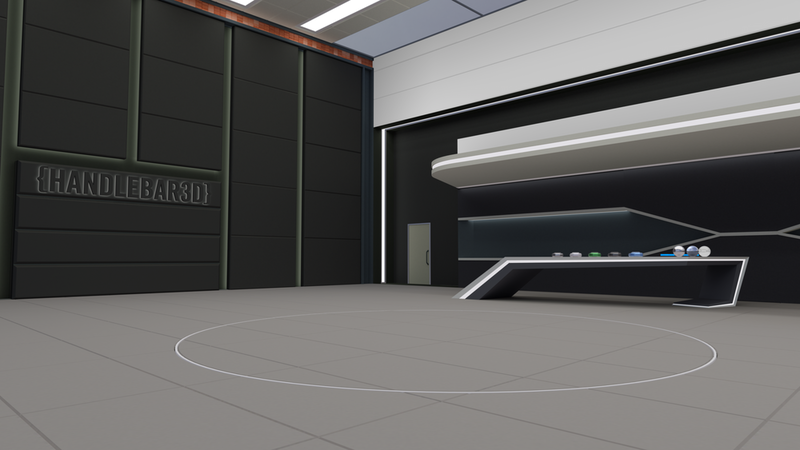 This VR Environment and file has been developed to make it as easy as possible to customize your VR experience. It Include fully programmed left and right controller, Viewpoint Maker and Turn Table commands.